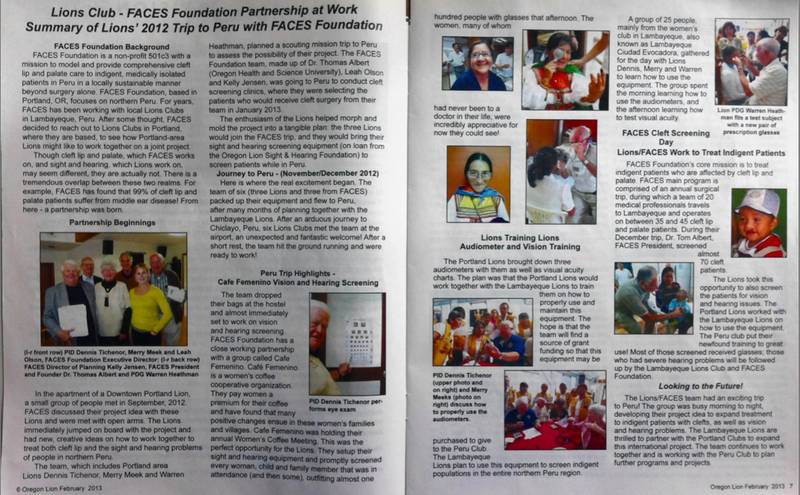 The FACES Foundation team was featured in a recent issue of the Oregon Lions Magazine. FACES has been working closely with the the Lambayeque Lions Club for many years and since 2012 has created a strong partnership with several Lions Clubs in the Portland-metropolitan area, as well. Several members of these Portland Lions Clubs travelled with FACES to Peru in December 2012. During this trip they trained the Peru Lions how to conduct vision and hearing screening tests.